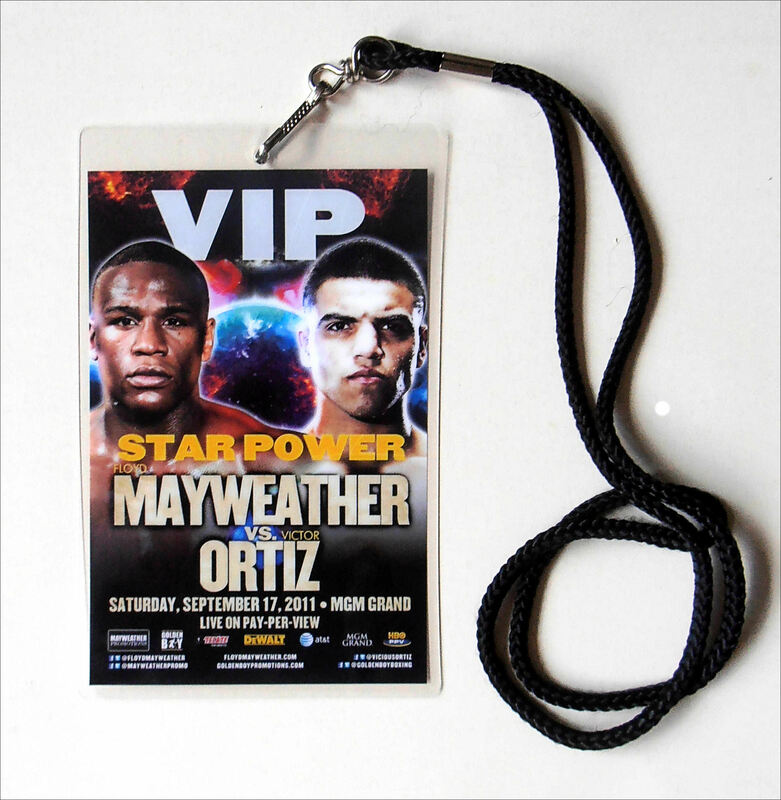 Description : Here we have an original official MGM Grand Las Vegas VIP TEAM pass (With Lanyard) this pass was obtained from Leonard Ellerbe, Floyds business manager. 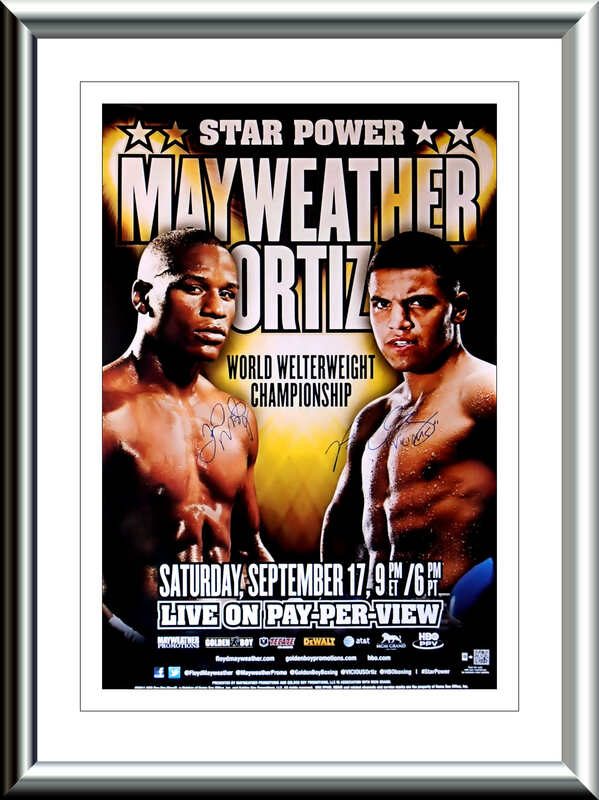 Billed as Star Power, Floyd Mayweather, Jr. vs. Victor Ortiz, for the WBC Welterweight title held on September 17, 2011, at the MGM Grand Garden Arena in Las Vegas, Nevada. 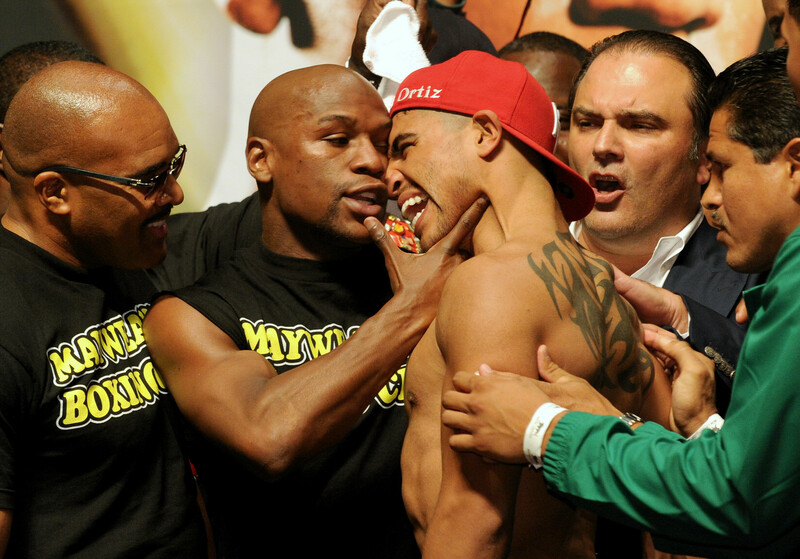 We all know what happened here with the now notorious Floyd 'Sucker Punch'.